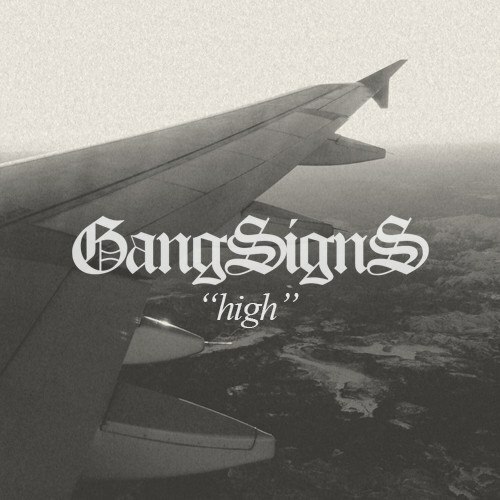 GANGSIGNS dropped this original ‘HIGH’ that got us straight bouncing. Starting out with straight club and a massive breakdown in the middle into club-ready fire. He says “this is a song about feeling alive whether you feel it when you’re with your best friends or smoking weed or whatever makes you happy” & that makes us happy. Cop the FREE DOWNLOAD & prep your hard drive for 10 more GANGSIGNS bootlegs because his 10 track #CLUBREADY EP is dropping later this week. Congrats on hitting 5k. 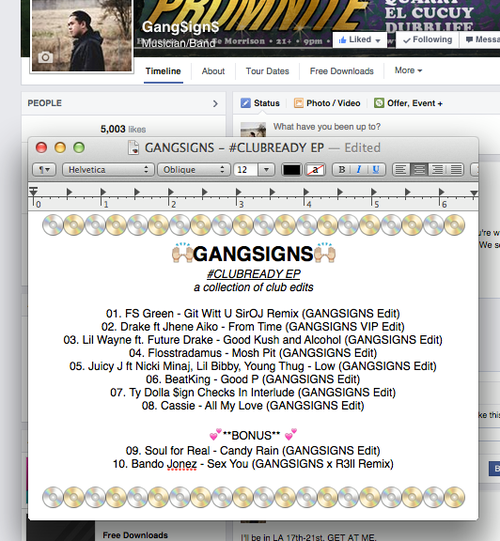 Catch GANGSIGNS at this month’s TEAMSUPREME event in Los Angeles alongside some heaters. This line-up is stacked so if you’re in LA 10.18.2014 this is the spot to be. RSVP & More Info.